If you are a PRO plan insider, you can download the OSV Spreadsheet as well as the weekly updated database of Action Stocks. Click on menu at the top > click on "Download Area". 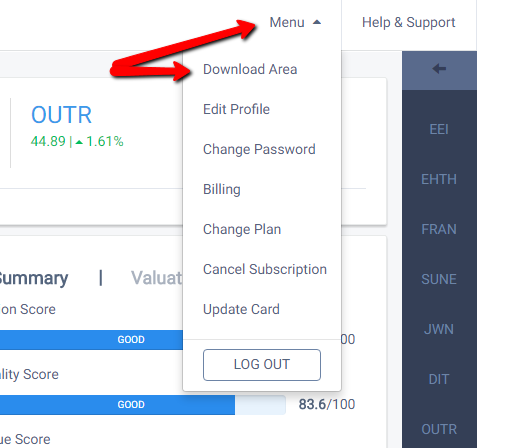 From here you can download all the goodies linked to your account. Basic and Advanced members do not have access to this section. Only PRO members.